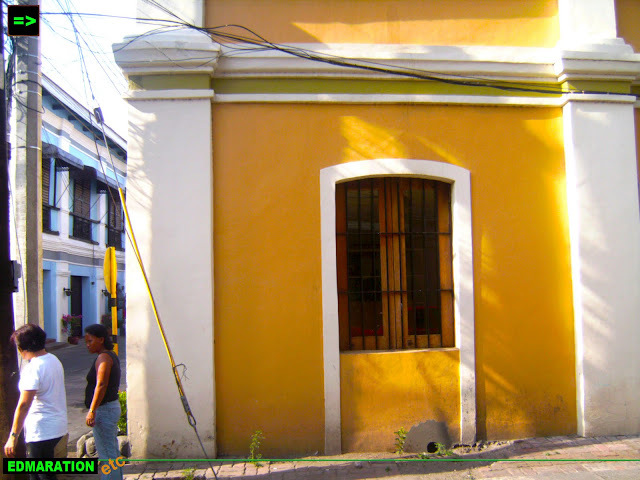 "Some old houses were demolished and now their real color is popping out. The color of greed is now slowly glowing in the old houses transforming them as attractive it could be for business." NOTE: This article is a personal opinion and insight of the author. The author has no sole intention to defame or in any other means destroy the image and credibility of a group, corporation, person or any entity whatsoever. The sounds of the past is echoing. The old houses bring an unusual connection to what is not considered as contemporary. 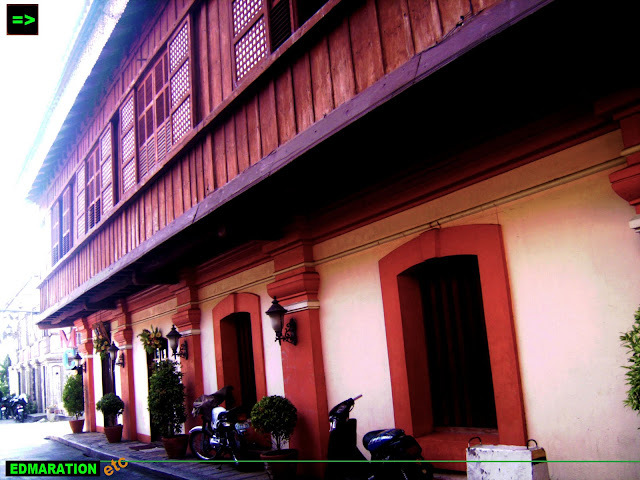 The Vigan old houses stand still amidst the span of time, storms and politics. 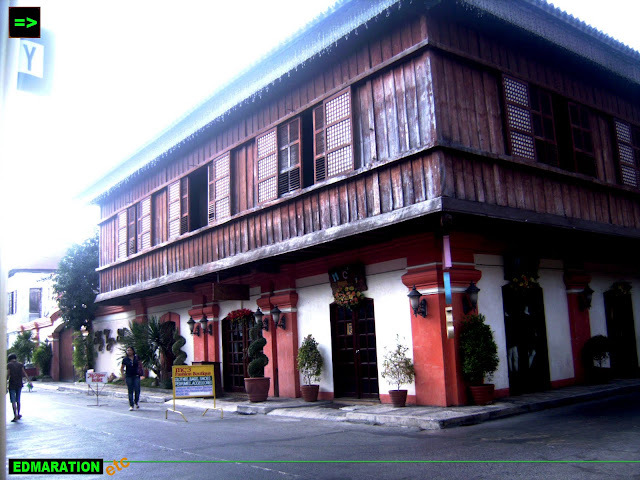 They remain to be an emblem of Vigan's glorious past. But hey, where are those houses with exposed bricks gone? I can not see the old charm. 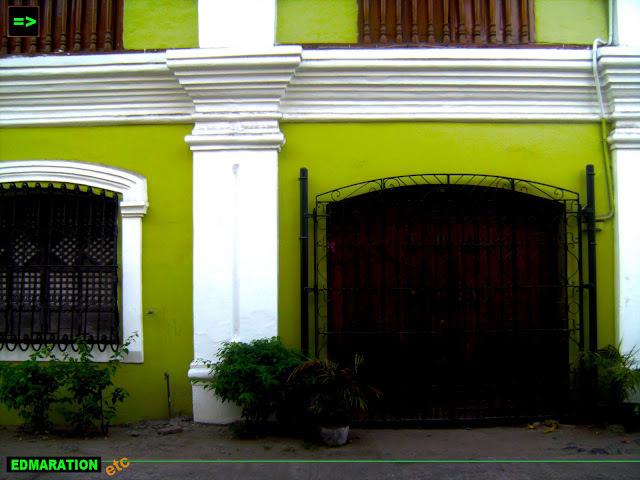 What I see are new houses painted in different colors mimicking the architectural grandeur of the Vigan ancestral houses. 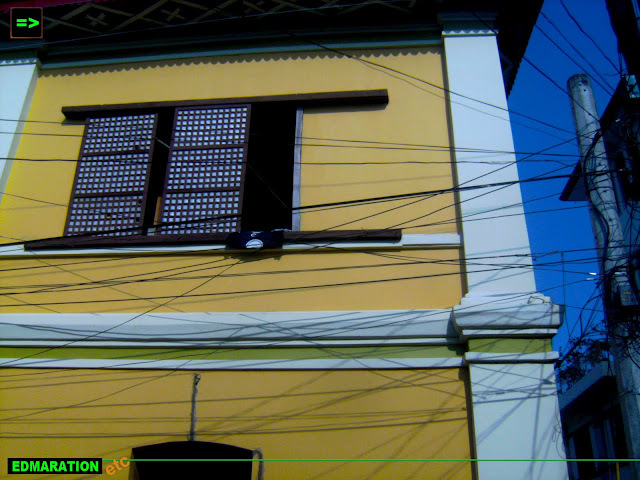 Suddenly, I realized, I am at the heritage district of Vigan and what I saw was totally different. The houses are all charming and gorgeous but the touch of the past is starting to break the connection I once felt while seeing the old houses. Some houses are now colored with green. There are also some with orange, light blue, pink and yellow. As you look at those houses for the first time, they really look so fancy and attractive with the colors. However at the back of my mind, being a person who frequently sees these old structures, I always long for the harmony of the houses. Their architectural uniformity, unity and similarity should be preserved and with this, the color of every house should also be in line with the harmony. 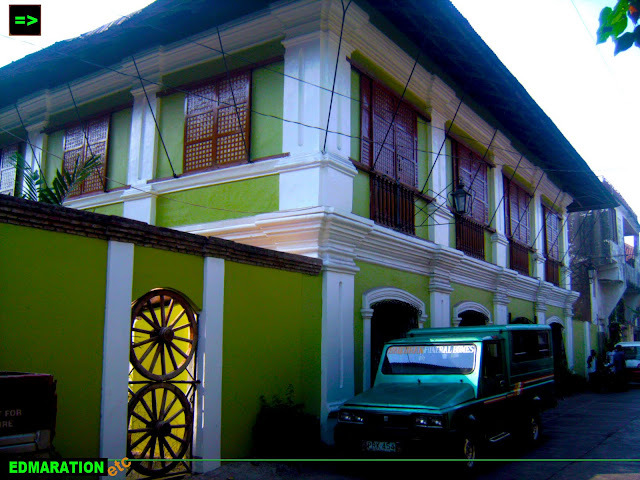 Vigan's flourishing industry has grown dramatically - thanks to the the ancestral houses which serve as the main attraction of this World UNESCO Heritage City, the only one in the Philippines and truly a pride. As a product of high tourists arrival, industries and commerce also flare up in this old city. The houses which are the main attractions are now turned in to shops, restaurants, hotels, and even fully-enclosed shopping center and disco bars. Commercialization is taking place. The solemnity of the old streets are now disturbed by the sounds of modern world and even the color is trying to cope up with the flow. 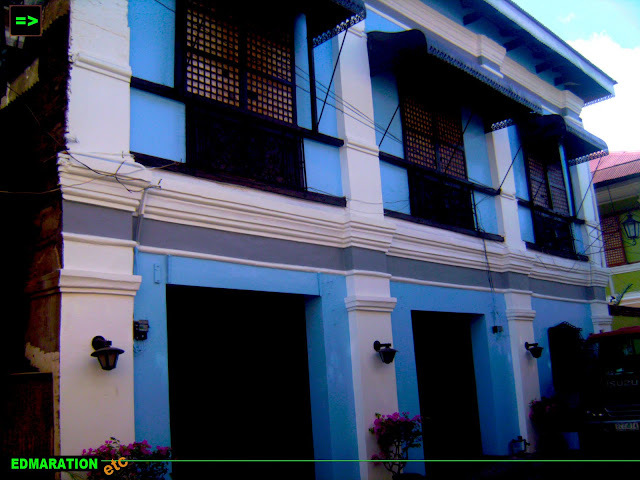 There's nothing bluer than blue while scrutinizing the renovation of the old houses. Some houses have been renovated improperly because the original context of the old houses weren't preserved and worse, some re-builders of the ancestral houses have almost demolished the original walls and bricks just to give way for a better location for business to deal with the growing urge for commercialization. The old streets are now disturbed by annoying sounds, live wires or powerlines, traffic jams and people on the rush. Business establishments open at every old house and the noise and activity just get worse. I know, this is a part of a growing economy and I am happy for it. 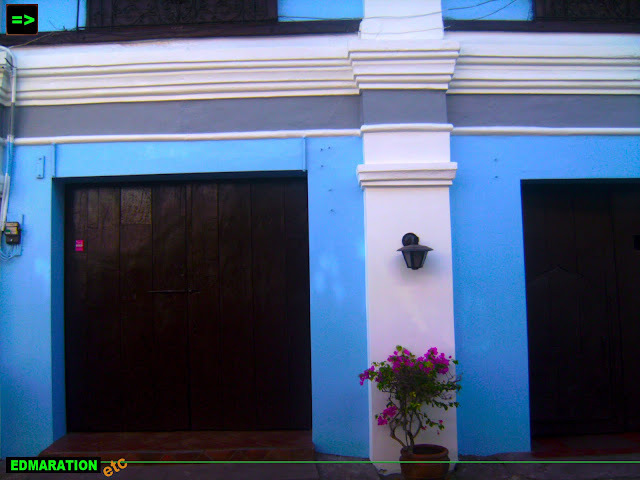 Vigan is now becoming a commercial hub secondary to the vibrant tourism industry - thanks again to the old houses. But I am really afraid that the real tourists especially those returning ones will come to be disappointed with the changes and see another face of Vigan they never expected. I am not concluding a fact, I am just thinking about the possibility that will happen and worse, Vigan might turn less attractive to them because of the massive changes and alteration of the real Vigan essence. Honestly, I am not affected with the colors of the old houses which might be contrary to my commentary and stand in this article but what is annoying is the glaring color of greed and politics that people of personal interest sacrificed the living and existing heritage they have just to benefit them. Some old houses were demolished and now their real color is popping out. The color of greed is now slowly glowing in the old houses transforming them as attractive it could be for business. The colors of the house are not bad at all if done with caution. But the question that lingers at the back of my mind is the reason behind the colors and why? 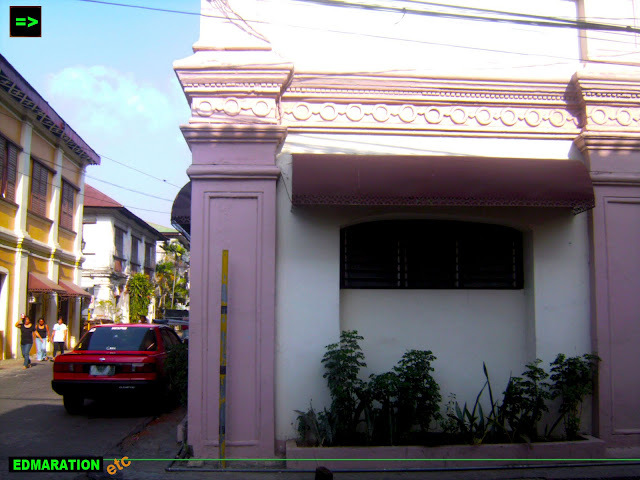 Why demolish and why alter the living treasures that has put the Philippines at heritage map of the world? As I roam Vigan's streets, the answer is now clear. It is part of development and it is a reality. However, I still believe, progress and heritage conservation can still go hand in hand. 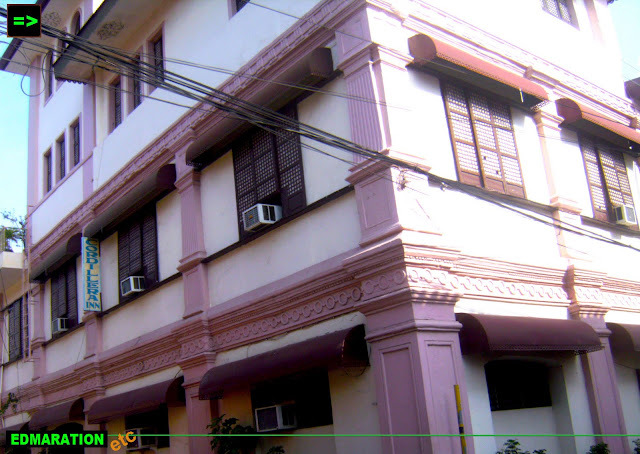 Note: The city government of Vigan has now passed an ordinance regulating the alteration, reconstruction and building of any houses within the heritage area so as to conserve and preserve these world heritage structures.